Today, February 5th, marks the beginning of the Chinese New Year, and means that one of the biggest shopping events in the world has been in full flow for over a week. Just one of many 'shopping festivals' that will take place in China this year - the biggest of which will rake in more than Black Friday, Cyber Monday and Amazon’s Prime Day put together - they are important dates in the calendar for anyone working in retail in China, or hoping to do so. But what are these so-called 'shopping festivals'? And why have they become so popular? Most of you will have heard of Black Friday. It’s the day after Thanksgiving that marks the official start to Christmas shopping in many countries. It’s known for its discounted offers on the most in-demand products - you’ll most likely have taken part in it yourself or watched the jostling crowds tussling over discounted merchandise on the news. Online sales on Black Friday were at their highest ever in 2018 with $6.22 billion in sales and Cyber Monday, Black Friday's online-only counterpart, raked in $7.9 billion in sales while Amazon’s Prime Day made $4.19 billion. Days like these are referred to as shopping festivals in China and in terms of online sales the country’s biggest is larger than Black Friday, Cyber Monday and Prime Day put together. Launched by Alibaba and officially called the 11.11 Global Shopping Festival, Singles’ Day is the biggest online shopping day in the world. In 2018, it saw $30.8 billion in sales. Singles’ Day started on Chinese college campuses around 1993 as an alternative to Valentine’s Day but it didn’t become a shopping event until around 2009. Each year, sales grew and it slowly became the a cultural phenomenon it is today. People shop in store as well as online and there’s even a TV gala broadcast as part of the event which has featured celebrities such as Pharrell Williams, Jesse J, Mariah Carey, Allen Iverson, Nicole Kidman, Scarlett Johansson and Miranda Kerr. Although Singles’ Day is China’s biggest shopping festival, it’s not the only one. This festival started in 2011 for shoppers who wanted more or had missed out on Double 11. It’s promoted mostly by Alibaba and JD.com but is seen as a cross-industry event. It runs from December 8th – 12th. JD.com, another large online retailer in China has its 618 (or 6.18) festival on June 18th, the anniversary of the company’s founding. The promotion period runs from June 1st -18th. In 2018, the site amassed US$24.7 billion in sales over those 18 days. Suning.com, China’s largest online retailer of home appliances, has festivals on April 8th and another 25 day long event that peaks on August 18th. In 2018, its 818 shopping festival led to Suning.com’s retail app being China’s most downloaded for nine consecutive days. It also has a live broadcast related to the event, Suning’s 818 Spree-topia, that was watched by more than 150 million people. Alibaba’s Jack Ma designated September as a time for wine and spirits sales in 2016 because the number "9" has the same pronunciation as "wine" in Mandarin. From September 1st - 9th, Tmall offers good deals on alcoholic beverages of all kinds. There are also big promotions around Women’s Day, Men’s Festival (April 24th-26th on Tmall), Valentine’s Day, I Love You Day (May 20th), Mother’s Day, Father’s Day, Children’s Day and Christmas. There is also the society-wide online and offline shopping spree that occurs around Chinese New Year (in January or February) every year that mentioned earlier. So why have these festivals taken off to such an extent in China? Well, for starters, payment options make purchasing quite frictionless. Singles’ Day was started by and is hosted by Alibaba. Payments can be made quickly and easily on the site using the Alipay system, a system originally developed by Alibaba and now run by Ant Financial Services Group. It’s the largest online payment service in the world and a highly trusted and widely used payment method in China - it can also be used offline. Shopping festivals are also popular because of peer and family influence and the close relationship between commercial activities and social media in China. For example, popular social network WeChat is used by shoppers to browse for possible items to buy, and WeChat Pay means that users can buy items without leaving the app. Weibo, like the Twitter or Instagram of China, also makes purchasing items easy via links. Commercial festivals are also enormously popular and successful in China because online commercial platforms hold a prominence and influence larger than that of Western eCommerce platforms, such as Amazon. 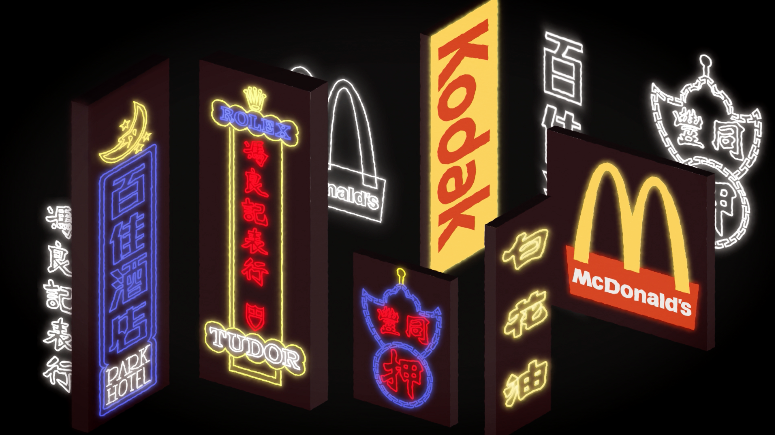 China skipped a step in its recent history, whereby customers hadn’t established strong bonds with traditional retail chains and brick and mortar stores prior to its online revolution. There were relatively few large, successful retail chains and they were establishing themselves at the same time that eCommerce was evolving. People became dependent on online commercial platforms like Taobao and online shopping became a habit. With over 500 million online shoppers, China is the largest eCommerce marketplace in the world and it holds a lot of opportunity for western retailers looking to sell their products to a whole new market. However, entry into this huge eCommerce space is not without its challenges. To find out how to be successful when launching your retail offering in the Chinese market, check out our brand new eCommerce in China course. We begin by giving you an overview of the eCommerce landscape in China, from customer expectations to payment options. We then explore the key platforms you should consider selling through, and the key trends that are defining the marketplace. Finally, we outline some of the steps you should take to increase your likelihood of success when entering the market.